Soaring Eagle invites you to investigate our expanding, non-dogmatic, freedom loving church and ministry. Take steps now to declare, to accept and to live your Divine Inheritance. Prepare yourself now to give fully of your gifts and service in association with your brothers and sisters, as a part of this healing ministry in the tradition of the Great Masters and the Holy, Pure and Saving Teaching. We share a vision, so simply expressed by White Eagle, member of the Great White Brotherhood: "...remember that a great soul is drawing near to this earth; and we believe that we are speaking truly when we say that some day a great soul will become visible, but only to those who are ready to see and to listen; such souls will certainly see the great one coming in clouds of glorious light. Their eyes will be opened and they will behold the Son of God..." Are you ready to join us? 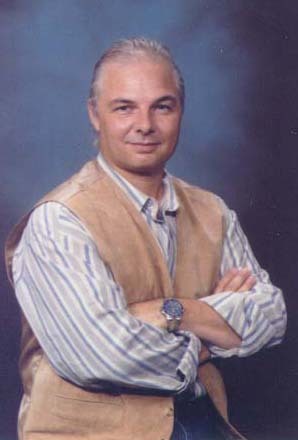 Dr. Tony Soaring Eagle Mulberg's personal story... "In early 1997, while I was in deep meditation, I was visited and blessed by two spiritual beings, whom I later came to know as Archangel Michael and Archangel Zadkiel. With all honoring of my human free will, they gently guided me to journey to England, where I travelled to many sacred sites, finally reconnecting with them, while in deep meditation in the Upper Room of the Little St. Michael house on the 5000+ year old sacred healing land and garden of Chalice Well and the "Red Spring." My experiences of this journey and meeting changed my life, as I went through an incredible shift of awareness. I returned from this visionquest with the knowledge that my life would begin to change dramatically and my healing work would move into an ever deeper spiritual direction. It was shortly thereafter, that I was inwardly guided to form the Light and Sound Healing Ministry, as, "a church dedicated to spiritual healing and lightworkers around the world." The church ministry was legally formed as a member congregation of the International Assembly of Spiritual Healers and Earth Stewards Congregations. 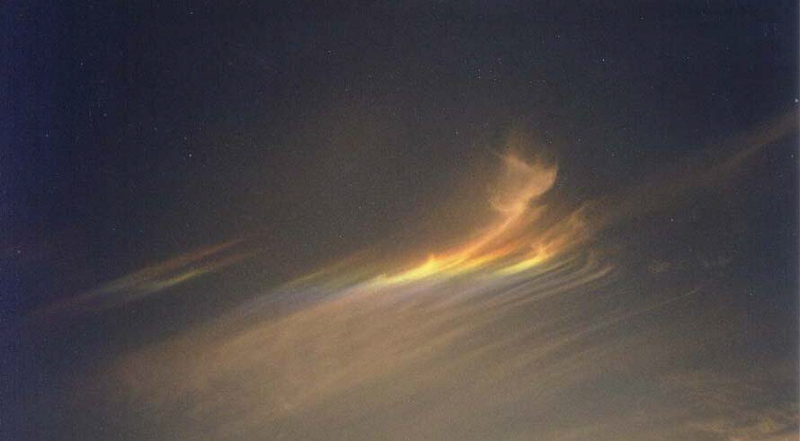 In early 1998, while traveling and teaching spiritual healing work, I was consciously reconnected with my ancient priest status "...after the Order of Melchizedek," (Psalm 110:4) through a profoundly personal spiritual experience. This took my work even deeper into the "Great Plan" and a sharing of the "Great Message." Today, the Light and Sound Healing Ministry is strongly influenced by: (1) ancient Essene healing traditions, as practiced and taught by the Great Essene Masters Zadok and Jesus, the Nazarene (enlightening spiritual meditations now known as, the Essene Communions related to the Audible Life Stream, (The Divine Word or the "Sound and Light of God"), and (2) Surat Shabd Yoga, or Sant Mat, The Yoga of the Celestial Sound Current. This ministry's message is, "the Holy, Pure and Saving Teaching," as taught and voiced by all of the Great Masters. "We are all One." I currently serve as the Spiritual Director of this ministry. While my spiritual status as a priest is established through ancient traditions based upon Divine Inspiration and Personal Experience with Archangels Michael and Zadkiel and others in the lineage and tradition of the great Spiritual Master "Melchizedek," my earthly legal status as a priest, minister and spiritual healer is afforded through the International Assembly of Spiritual Healers and Earth Stewards Congregations and the Madonna Ministry formerly known as the "Church of the Talking Pines" and the "Church Without Walls"). I am a member of many spiritual and conscioussness based organizations (outer and inner), including the Rosicrucians (A.M.O.R.C. ), the Theosophical Society, and the Institute of Noetic Sciences (IONS). With regard to professional education and achievements (for what temporal worth they may hold)..., I obtained a Bachelor of Arts (B.A.) degree in "Society and Justice" from the University of Washington (Seattle) in 1974; a Master of Science (M.S.) degree in "Education Administration" from National University (San Diego) in 1988; and a Doctor of Chiropractic (D.C.) degree from the Los Angeles College of Chiropractic in 1994. I hold several certifications in various healing modalities, both traditional and non-traditional, including chiropractic, acupuncture and hypnotherapy. I am professionally licensed, as a chiropractic physician in the states of Arizona and California. My healing center in Prescott Valley, Arizona is called the: Kachina Healing Center (a holistically oriented health care clinic devoted to the integration of body, mind and spirit. I am the director and primary instructor for the Academy for Advanced BioEnergetics, and the Academy for Hypnotherapy Studies, also located in Prescott Valley, Arizona. I have taught my unique altered state, spiritual healing methods, such as, Etheric Parasite Cleansing (EPC) throughout the U.S., Mexico, Canada, and Europe. I coordinate the Spiritual Healing Circles for the Light and Sound Healing Ministry. Further, I lead spiritually oriented pilgrimages to the world's sacred sites through Soaring Eagle Sacred Journeys. The Light and Sound Healing Ministry, a non-secular religious organization "dedicated to spiritual healers and lightworkers around the world."